We are sorry for our poor communication towards the players for keeping you waiting for updates from the Staff without a response. We will try our best to keep you all updated from now on. Below we are presenting our plans for the next update, and information about the status on the new core. Disclaimer: None of the below presented have any ETA and the information can be changed at any time based on the situation. The below also do not represent a release timeline in any shape or form. We are still working on changing our core with a new one, with porting all the systems , scripts and database, and testing our work. As Chrispee mentioned in the main thread, we had issues with the designated Staff members working on the core either leaving of being inactive due to IRL issues, so that forced us to hire an additional developer to work on the new core, while Osiris is working on the updates presented below and no longer on the core. As its release will be delayed, we do not have any ETA at this moment. We mentioned that, along with the new core, the class balance will be coming, but as the new core will be delayed, we do not want the class balance to be delayed either. We will be working on the class balance right after the next Raid instance will be released. We have not had a Patch update in a very long time, so we decided to change that. In the new Patch, you can expect updated Races, new item and creature models from Warlords of Draenor, up to Battle for Azeroth, and fixed item and creature models from Cataclysm and Mists of Pandaria. 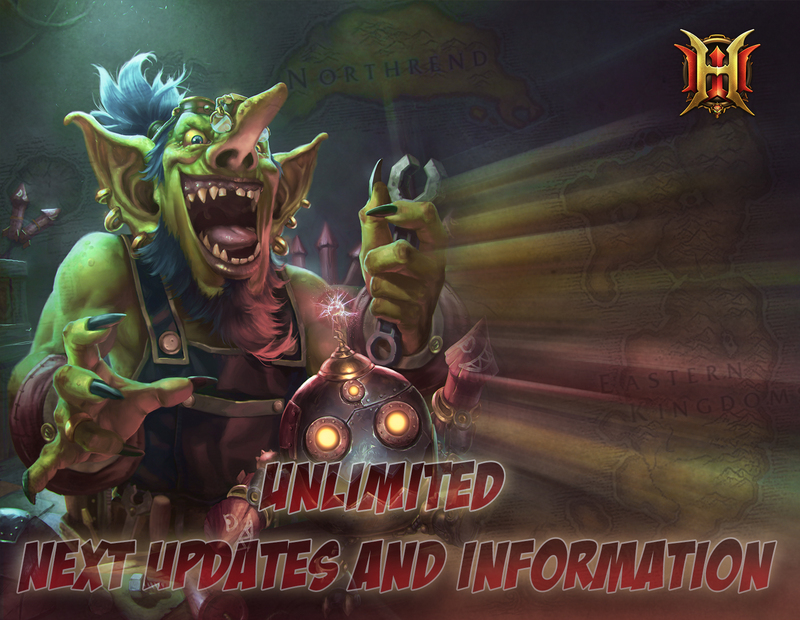 The new Patch will be released alongside Black Temple, Dungeon Finder and the end of the Arena Season. The new Tier 10 Raid instance will be Black Temple. Full information about it will be presented before and after its release. The Black Temple Raid instance will be released alongside the new Patch, Dungeon Finder and the end of the Arena Season. We will update the Dungeon Finder to include our custom dungeons (Scarlet Monastery not included). The players will be able to queue solo or as a group to ease up on the grouping process. Completing a Random Dungeon through the Dungeon Finder will rewards the players with special bonuses. More information about it will be presented after its release. The Dungeon Finder will be released alongside Black Temple, the new Patch and the end of the Arena Season. The Arena Season will be ending soon, so make sure to reach your desired position in the ladder and in your team. The Arena Season will end and the new one will be starting alongside the release of Black Temple, the new Patch and the Dungeon Finder. Last edited by Jinha; 02-08-2019 at 06:32 PM. 4. If you release s5, will there be arena sets rotation? I mean, s2 for free, s3 for honor etc. If there wont be any rotation, will s5 parts require same s4 parts? nice to see. good job! Im surpised i see a post finaly. Atleast some staff works But that "arena end" so top 5 teams = arena farmers shall get rewards or no? Anything related to the arena season end will be revealed then. Useless news. If you haven't ETA for that. Just make some class editing and tuning. Anyway you balance it after dat. I really like the sound of Dungeon Finder. Looking forward to an ETA. I'm confused. You said the new season would be starting alongside the release of the new raid. But the class balance won't be out at that time. I think it would be a bad idea to start the new season without the balance and then introducing it after the season has already started.